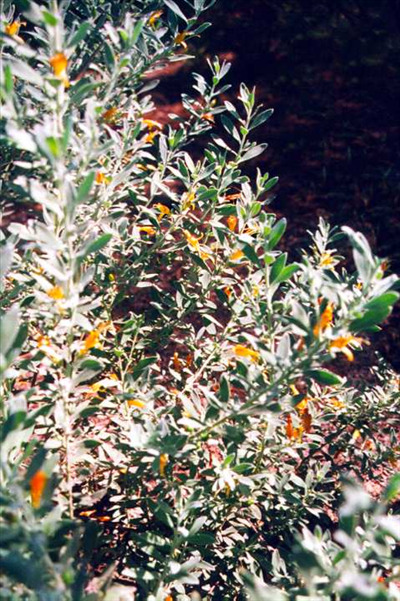 Attractive low shrub, 2-3'x 3-8' with grey-green leaves and bright orange flowers from Kalgoolie, Western Australia. Prefers full sun, it is fast growing and tolerant of alkaline soils, moderate frost and dry conditions. Prefers well-drained soils. Good container plant. 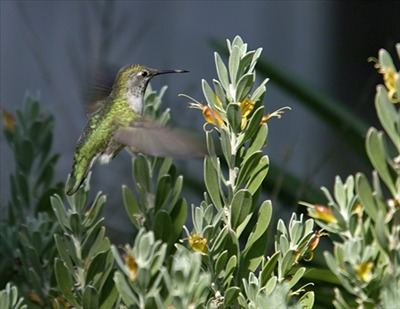 Eremophila glabra `Ouyen' form sometimes available - low-growing grey foliaged shrub with green flowers.